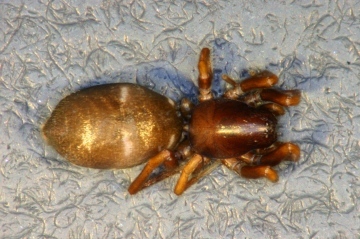 The species has been recorded from Welsh mountains and from Scotland. In Europe, it is known from France, Austria, Switzerland, Sweden, Norway and Finland. The spider is found under stones, among grass and moss, etc., usually above 750 m. On Creag Meagaidh it was found in Vaccinium myrtillus heath, while on An Teallach the habitat was Nardus/Racomitrium grassland (D. Horsfield pers. comm.). Near Loch an Fheoir it was found in a hummock of Racomitrium in the middle of a Sphagnum bog. Males are adult from May to July, females in June and July. Known from a single location since 1992 but high altitude habitats are under-recorded. Very few specimens have been found. Area of occupancy has apparently declined by 83% from six hectads prior to 1992 to just one since that date. Some populations may be vulnerable to damage from hill-walkers and skiers. Forestry is a potential threat to populations below the tree line. Prevent the loss of habitat to forestry and damage from skiing and trampling.